The Israeli Center for Young Leadership trains teenage Israelis to become a founding pillar in future Israeli society. The Center strives to develop young leadership through personal empowerment, social involvement, and entrepreneurship. We encourage community involvement through social activities that reinforce Israeli youth ties with broader social circles. The Center is a pioneering educational project aimed to cultivate tomorrow’s leaders. Developing success through excellence, personal commitment, intellectual enrichment, and emotional intelligence, we encourage Israel’s future generation to form a better society comprised of conscious, responsible, and creative leaders. 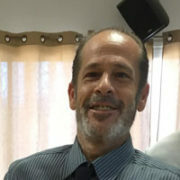 Head of the Israeli School for Young Ambassadors. Ambassador Yitzhak Eldan is a veteran of the Ministry of Foreign Affairs where he served for 41 years. His notable positions include, Head of the School of Diplomacy for training of cadets (5 years), Head of the unit in charge of formal ceremonies in Israel, lecturer on practical diplomacy at the Interdisciplinary Center (IDC), and president of the Ambassadors' Club in Israel. Prof. Karmi established the division for studies of the Middle East and the Israeli-Arab-Palestinian conflict in the Israeli Center for Young Leadership. He holds a Ph.D. from the University of Haifa, School of Political Science, Department of International Relations. Prof. Karmi specializes in the study of Terrorism and the Middle East. He also has extensive experience in academic teaching in fields of political violence and peace building, terror and political violence in security systems, media and interviewing analysis in topics of conflict and political violence. 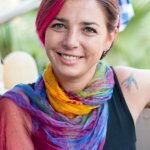 Hila is the Founder of the Israel Center for Youth Leadership. She is also the director of organizational development. 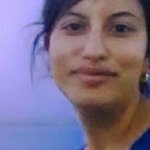 For the last fifteen years she has been involved in various social activities and projects in the fields of informal education. 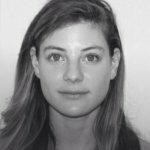 Hila devotes her time to the empowerment of Israeli future generation, recognizing that aspiring for excellence, cultivating personal skills and professional capabilities at a young age leads to a better and more advanced future society. CEO of the Israel Center for Youth Leadership. Snir is also and responsible for the organization of overseas delegations overseas. He trains counselors and he is a senior lecturer on the topics of leadership, communications, diplomacy, international relations and entrepreneurship, economics and business administration for youth at the Israel Center for Youth Leadership. 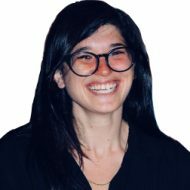 Snir holds a BA in Economics and Management from Tel-Aviv-Yafo Academic College and an MBA from Bar Ilan University’s School of Business Administration. 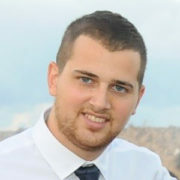 Elad is the CFO of Israel Center for Young Leadership. He is responsible for financial and operational management. He holds a BA in Business Administration, specializing in accounting (BA), from the College of Management. 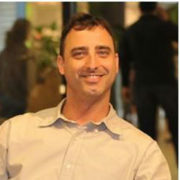 Elad received his accounting certification in 2009. 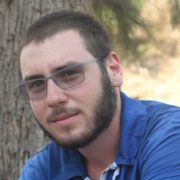 Itzik is operations manager at the Israel Center for young Leadership. He holds a LL.B in Law from the College of Management Academic Studies. He is a graduate of the Leadership Training Program of the Institute for Future Leadership in cooperation with the Academic Track. Commander in the Israel Air Forces (IAF) and Head Instructor in the IAF’s Officers Course. Chen Mazig is a consultant for strategic communications, spokesperson, reporter and social media expert. Chen served in the Coordination Unit for Government Activities in the Territories as a liaison officer for the United Nations and international organizations. 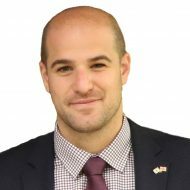 He participated in several delegations on behalf of the Jewish Agency in New York and joined the advocacy organization StandWithUs in 2012. His roles included heading all activities for combating the BDS movement in the US as well as Activities Coordinator for the West Coast. Returning in 2014, Chen was appointed International Education Manager for StandWithUs in Jerusalem. Today he manages a strategic consulting and digital communications company in Tel Aviv. Chen joined the Israel Center for Young Leadership as head of the organization's digital media network and senior lecturer. Responsible for digital media promotion. Our instructors are lecturers and graduates who hail from academic backgrounds. 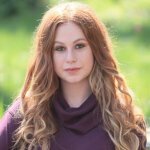 They are educators and experts in the fields which they teach, with vast experience in educating, guiding and instructing youth. Our staff is broad-minded, creative, dynamic and open to innovative educational approaches who see their position as a social and moral obligation. CEO of the Israel Center for Youth Leadership. 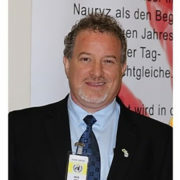 Snir is also and responsible for the organization of overseas delegations. He trains counselors and he is a senior lecturer on the topics of leadership, communications, diplomacy, international relations and entrepreneurship, economics and business administration for youth at the Israel Center for Youth Leadership. 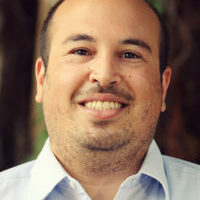 Snir holds a BA in Economics and Management from Tel-Aviv-Yafo Academic College and an MBA from Bar Ilan University’s School of Business Administration. Favorite quote : "The People who are crazy enough to think they can change the world are the ones who do" – Steve Jobs. Aviv earned his BA with honors in Behavioral Sciences and Management from the College of Management. He also holds a MA in Labor Studies and Organizational Counseling from Tel Aviv University. 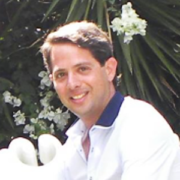 Aviv is senior organizational consultant, personal and business coach, and group facilitator. Utilizing his extensive business experience, he has managed sales and service systems for large organizations and enterprises. He specializes in leading management teams to push themselves to their utmost abilities providing them with necessary tools for self-development and empowerment. Favorite quote: “I am thankful for all of those who said NO to me. It’s because of them I’m doing it myself” - Albert Einstein.